This report by Menekse Tokyay for Southeast European Times in Istanbul which was published in SETimes makes thought-provoking reading. to south Cyprus and then from north Cyprus to Turkey and if adopted it is hoped that co-operation in the energy sector could help resolve the nearly four-decade division of Cyprus. Yes, it sounds like a great opportunity but with the Republic of Cyprus continually playing its EU membership trump card to keep the TRNC disadvantaged, could this plan help bring about a reunification settlement? Perhaps there is another alternative and that is for the pipelines to be built into two separate Republics. Can you imagine with a water pipeline from Turkey to North Cyprus close to becoming operational, you now have a situation where both Republics could live together side by side in harmony and benefit from removed embargoes which would help north and south as no flight or shipping restrictions would exist. Our dear friend and commentator, John Aziz Kent, who struggled for many years to build the first Turkish Cypriot Hotels and Tourism in North Cyprus has often said, Cyprus could be a very rich country if people would learn to recognise the mistakes of the past and co-operate for the benefit of future generations by sharing and building a rich and prosperous Cyprus that would be the envy of the world. 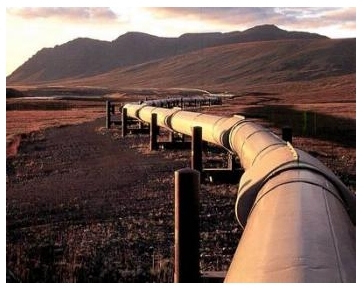 Gas pipeline plan could bring solution for Cyprus SETimes.com. I personally think the Greek side could get carried away with this perceived “new power” of having Gas or oil to help boost its standing. If its not careful, it could overplay its hand and drag the Cyprus problem to what they may believe to be to their advantage. No oil rich country in the world can hold, or change the balance of power unless it has economic and industrial power to back it up. (The small Arab Gulf states are a perfect example) What may seem an economic advantage may actually turn out to be a political nightmare. Only a common sense approach will bring Cyprus the benefits of any oil that may be produced in the future. That is a compromise solution to settle the Cyprus problem. The history of Cypriot political thinking does not bode well for a realistic assessment of its own obstinate, rejectionist approach on bringing about a settlement. Unless that happens, I have a nasty feeling that in a few years time we could be reading about lost opportunities yet again. I pray I’m wrong.